60 Palmer Ct Odenville, AL. | MLS# 831411 | Avast Realty LLC | 205-951-8992 | Your Ultimate Resource in Real Estate. Let's guide YOU home! Nice remodeled manufactured home with new paint, underpinning, new carpet and a new 4 ton heat pump. 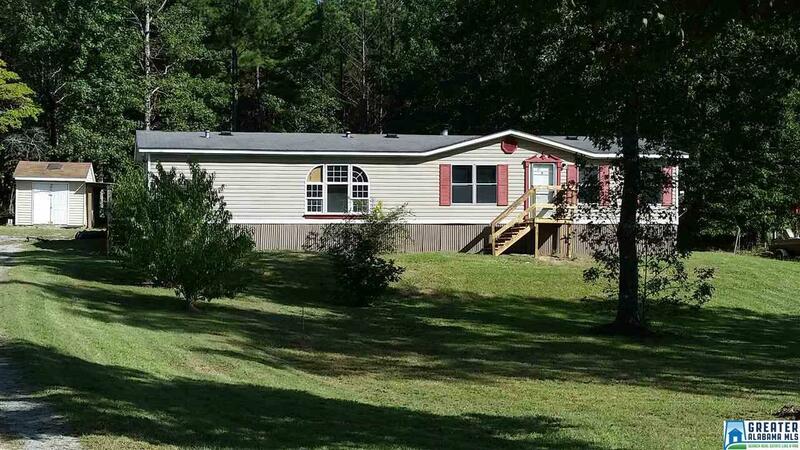 Situated between Odenville and Pell CIty atop a mountain with a country fresh feel. Nice storage building behind home and a large yard with a few fruit trees. A nice covered deck on the back to sit and grill. Approximately 10 to 12 minutes to I-20.